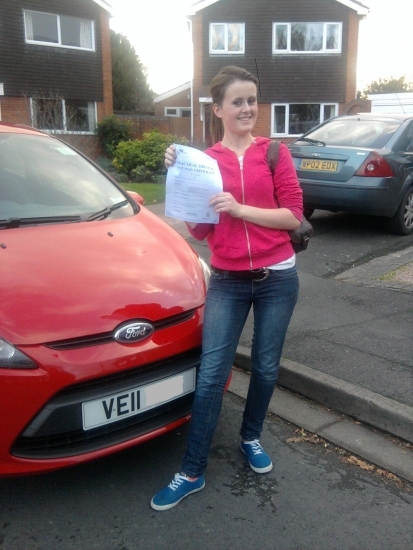 Congratulations Kate a well deserved pass with only 3 minor faults. Good luck with the teacher training at Derby. See you when you return to Worcester to do a Pass Plus course. Drive Safe!